Britt Firearms is a fully stocked retail store servicing all firearms related needs. We are authorized dealers for almost all major gun manufacturers. We have a long history of service to civilian firearms enthusiasts and law enforcement personnel. We offer a wide range of gunsmithing services: recoil pads, scope installations, stock refinishing, repairs, as well as custom gunsmithing. We have been a leader in firearms safety instruction for over 40 years. with a 3-point range on premises and private membership club. Our experienced, professional instructors will equip you with the training you need to become a safe, competent, confident shooter. Britt Firearms is a family owned and operated Dealer in Firearms and accessories for over 40 years. 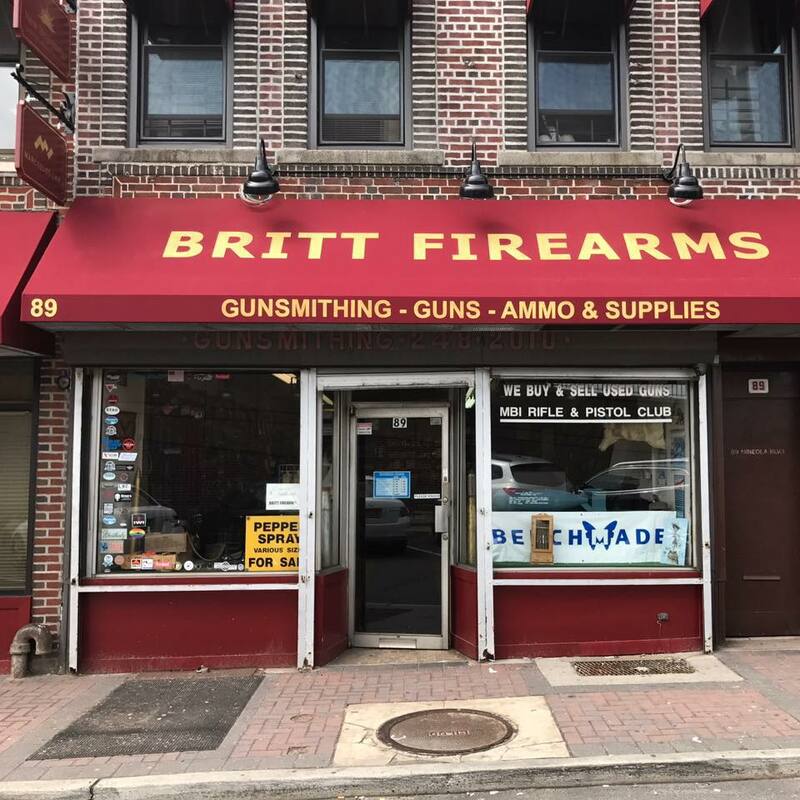 Conveniently located in Mineola, NY, Britt Firearms is less than one hour away from midtown manhattan and only 200 feet from the Long Island Railroad Station(LIRR) at Mineola. Britt Firearms is one of the oldest dealers in the greater New York area.